Maybe it's a $3-a-month charge from Verizon Wireless for Roadside Assistance that you don't remember requesting. Maybe it's an $18 "upgrade fee" that Cingular Wireless neglected to mention when you bought that snazzy new Motorola Razr phone. Or maybe you're just peeved about dropped calls. Whatever the cause, if you've had it with your cell phone company, you're not alone. Consumers are mad, and the lawsuits are flying. According to the Better Business Bureau, cell phone companies drew 30,483 consumer complaints last year to become the top-ranked industry for grievances. The most common complaints: inaccurate bills, inadequate customer service, and deceptive contract terms. Cell phone companies were the subject of more complaints than such perennially unpopular businesses as car dealerships, hotels, retail outlets, and insurance companies, BBB statistics show. Experts attribute the rise in customer dissatisfaction to fallout from mergers and acquisitions in the wireless industry, including the Cingular-AT&T Wireless and Sprint-Nextel mergers. Kirk Parsons, senior director of wireless services for J.D. Power and Associates, says a study by the famed market research firm found that consumer satisfaction with wireless phone service providers in 2005 was down 10 percent from 2004 levels. Below are details about some of the most common cell phone complaints, as lodged in recent lawsuits and filings to the Federal Communications Commission and the Better Business Bureau. At least two federal class-action lawsuits have been filed over Roadside Assistance charges of $2 or $3 a month on Cingular and Verizon Wireless bills. In separate lawsuits, customers of both carriers say they never ordered the optional service, which Cingular and Verizon say will provide emergency service to auto drivers who get stranded on the side of the road. Cingular's Roadside Assistance is an emergency insurance program for motorists that Cingular markets on behalf of Asurion Insurance Services. Should a subscriber have a flat, get locked out of their car, or run out of gas, they can call a special number on their Cingular handset and someone will come to their assistance, free of charge. Michael Gellis sued Verizon in Oakland, California, Circuit Court, while Cingular Wireless customer Margaret Moffatt filed suit against the firm in Wayne County, Michigan, Circuit Court. Both customers say that for more than two years, without their consent, the carriers had added charges for Roadside Assistance to their monthly bills. Both suits allege violation of state consumer protection laws, breach of contract, and "unjust enrichment." Both suits were eventually transferred to U.S. District Court in Detroit, where attorney Peter Macuga of Macuga and Liddle is representing both plaintiffs. Cingular declined to comment on the two pending cases. However, its representatives said Cingular typically offers a free 60-day trial of the Roadside Assistance program to customers when they upgrade or change their plan. If the customer doesn't cancel the service after the trial period ends, Cingular begins adding the charges to their monthly bill. Cingular says it never initiates the free Roadside Assistance trial without the customer's consent, whether in writing at one of the carrier's stores, verbally over the phone, or by clicking to accept a terms-of-service agreement online. "If folks have had that on their bill, and they didn't order it, obviously there is a mistake somewhere and we can correct it," says Cingular spokesperson Mark Siegel. A Verizon Wireless press contact also said that the company doesn't add services to a customer's calling plan without consent, adding that Verizon would work to resolve disputes related to any charges. Verizon also declined to comment on the lawsuits. Cingular is facing additional complaints stemming from its merger with AT&T Wireless in October 2004. One group of customers--people with older phones that use AT&T or Cingular analog or TDMA networks--is complaining about Cingular's announced intention to charge them $5 per month for continued service. Another group--former AT&T Wireless customers who still use that company's TDMA network--is angry about what they describe as deteriorating network quality in the wake of the merger. Both groups say Cingular is trying to force them to upgrade to more expensive phones and rate plans on the company's newer GSM/GPRS network. Cingular says the $5 monthly fee is needed to recoup costs associated with maintaining the older networks. Currently, 4.7 million subscribers, about 8 percent of Cingular's total, use Cingular's TDMA or analog networks, Siegel says. Cingular had no comment about the alleged deterioration of service on the old AT&T TDMA network. Yet another group of angry Cingular customers are former AT&T Wireless customers who did switch to Cingular's GSM service following the merger--and found that they not only had to buy a new phone, but had to pay an $18 transfer fee that Cingular charged them simply for switching to Cingular's GSM network. Those customers also had to pay $18 for the SIM chip that contains the phone number and other user information that is required by GSM handsets. And switching wireless carriers to protest against Cingular was not an attractive option: People who tried to leave Cingular with time remaining on their AT&T contract were subject to an early-termination fee of $175. In response to these complaints, Cingular in July 2005 began waiving the transfer fee for former AT&T Wireless customers who migrate to a Cingular plan. Cingular subsequently also waived the charge for its own customers who buy new phones to switch from older networks to GSM service. However, these concessions came too late to pacify some customers. Several consumer advocacy groups headed by the Santa Monica, California-based Foundation for Taxpayer and Consumer Rights filed a federal suit in Seattle, alleging that following its acquisition of AT&T Wireless, Cingular intentionally degraded service on legacy AT&T networks in hopes of driving AT&T's customers to Cingular's GSM network. The suit also accuses Cingular of charging AT&T customers unfair fees to make the switch. Meanwhile, Cingular's business practices in California have drawn the ire of state authorities. In July, a state appeals court upheld a $12.1 million fine imposed on the carrier in 2004 by the California Public Utilities Commission. The judges agreed with CPUC regulators who said Cingular knowingly signed up more customers than its network could handle, while at the same time charging early-termination fees--sometimes amounting to hundreds of dollars--to customers who cancelled their service. The CPUC also said Cingular failed to provide customers with an adequate trial period and ordered Cingular to refund early termination fees charged to customers who cancelled their contracts between January 2000 and May 2002, refunds that could cost the company millions of dollars. Cingular has since extended its trial period from 15 days to 30 days. Consumer organizations such as the U.S. Public Interest Research Group have applauded California's efforts to combat unreasonable early termination fees. "Early termination fees make it easy for companies to deliver bad service," says Ed Mierzwinski, USPIRG's consumer program director. Such fees give customers little recourse if service deteriorates midway through a contract, he explains. Cingular's transfer fees aren't the only ancillary charges frustrating wireless customers. Leading carriers routinely charge an upgrade fee simply for switching to a new phone. Sprint Nextel charges customers $18 when they upgrade to a different handset. Cingular charges a similar upgrade fee of $18. Verizon Wireless customers who buy new handsets within 22 months of signing up for service (or of a previous handset upgrade) are subject to an upgrade fee of $20. In posts on gripe sites such as My3Cents.com and Planet Feedback, some customers say they were never told about these fees at the time of purchase and were surprised to see them on their phone bill, typically two months after purchase. By then, the window for cancellation of the purchase without termination fees had expired. People are particularly aggravated to see the fee after purchasing a phone that the carrier had marketed as being "free" after rebate, or during an "instant savings" promotion that's supposed to refund the cost of the phone. These promotions are common with all the major carriers. Sprint and Cingular officials say these fees cover service and administrative costs associated with upgrading customers to a new handset. The officials also say their sales representatives and Web sites make all fees clear to customers when they purchase a new phone. Wireless industry experts including J.D. Power and Associates' Parsons say that much of the frustration experienced by Cingular, AT&T Wireless, Sprint, and Nextel customers stems from the complexities involved in merging the technologies and billing processes of huge networks. Parsons adds that consumer expectations have risen as the cell phone industry has matured. "Today's cell phone users have zero tolerance for dropped calls," Parsons says. However, dropped calls don't top the list of cell phone gripes. Instead, billing issues account for three times as many complaints as service quality, according to the FCC's May 2006 Quarterly Report on Informal Consumer Inquiries and Complaints. Billing issues have prompted several state-level initiatives by consumer groups attempting to change the way wireless carriers do business. In New York state, the AARP and other consumer groups are backing legislation that would force cell phone companies to make their bills easier to understand and allow customers to cancel service contracts without penalties. Similar initiatives are in the works in California and Minnesota. These state-level campaigns underscore a larger battle over whether the federal government or the states should have the authority to regulate the cell phone industry. Wireless carriers would rather be regulated by a single federal agency (the FCC) than by the states, which are trying to gain more control over cell phone services to their residents. In August, the cell phone industry suffered a setback when a federal court of appeals in Atlanta ruled that the FCC overstepped its authority by telling state regulators they couldn't require or prohibit line items on bills for wireless services. The ruling means that states will be able to dictate how cell phone bills are presented to customers. 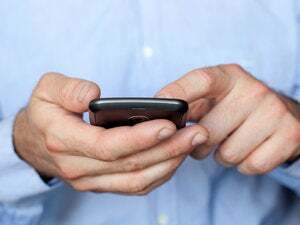 The CTIA, a wireless telecommunications industry trade association, has complained that the ruling will force wireless providers to establish a different process for each state. "Complying with disparate regulatory regimes will only increase consumer costs and slow innovation," CTIA president and chief executive Steve Largent said in a statement. But the U.S. Public Interest Group's Mierzwinski says the ruling is good news for consumers because it will give state regulators the muscle to ban deceptive cell phone billing practices. "The states are doing a much better job these days to protect consumers than the FCC [is]," Mierzwinski says. Nevertheless, for any cell phone customer, it pays to remember that your best strategy is not to depend on government agencies, but to police your own bill. Watch it like a hawk, read the fine print, and ask lots of questions.